The much-awaited meeting between Russian President Vladimir Putin and his visiting Turkish counterpart Recep Erdogan in Moscow last Wednesday focused on the withdrawal of US troops from Syria. The much-awaited meeting between Russian President Vladimir Putin and his visiting Turkish counterpart Recep Erdogan in Moscow last Wednesday focused on the withdrawal of US troops from Syria. The timeframe of the US drawdown or its scope and directions remain far from clear. Meanwhile, attention is riveted on creating a buffer zone in northern Syria, 32 kilometre wide along the Turkish border, which is under discussion presently between Washington and Ankara. The US special representative on Syria James Jeffrey is expected in Ankara in coming days to carry forward the discussions. From present indications, US may control the airspace over the proposed zone and maintain some sort of presence on the ground as well while Ankara has been maintaining that it has the capability to enforce the zone. Russia, on the other hand, has consistently voiced its opinion favoring Syrian government control over the regions vacated by the US. Indeed, Syrian leadership also has reiterated its determination to regain control over the entire country. 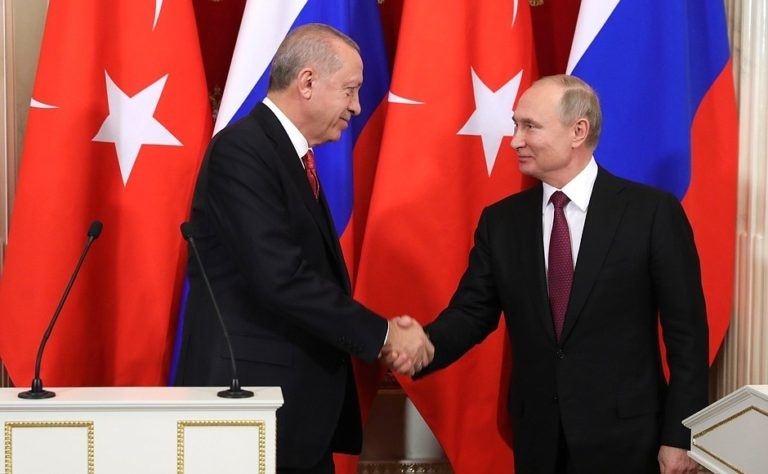 Thus, the meeting in Moscow on Wednesday took place in a surcharged atmosphere amidst speculation that the Russia-Turkey partnership might get rocky. The US never liked the Astana process on Syria between Russia, Turkey and Iran and the American intentions in baiting Turkey with the buffer zone proposal are highly suspect. Interestingly, on Saturday, Syrian state news agency SANA quoted a foreign ministry official in Damascus as saying, “Syria confirms that it is in compliance with the Adana Interstate Agreement on Combating Terrorism in all its forms and all agreements related to it, but the Turkish regime has been violating the agreement since 2011 up to now by sponsoring and supporting terrorism, training militants and making it easier for them to go to SAR (Syrian Arab Republic), or through the occupation of Syrian territories with terrorist groups it controls it or directly with the help of the Turkish Armed Forces.” Furthermore, SANA reported the Syrian Foreign Ministry as calling on Turkey to “activate” the Adana Accord, leaving the boundary as it used to be before the beginning of the war in 2011. Clearly, an inflection point has come. Erdogan has a big decision to make regarding the Turkish strategy in the aftermath of any US withdrawal from Syria. Clearly, this is not only an issue of the security of Syria’s northern region but also about Syria’s unity, territorial integrity and above all the need of a durable, inclusive, negotiated Syrian settlement where the future trajectory of Turkish-Syrian good neighborly relations is a crucial prerequisite to peace and regional security. Putin’s goal is to encourage Erdogan to work with Assad, while also taking care to preserve the verve of the Russian-Turkish cooperation and accelerate the Syrian peace process in Geneva. But in the process, he also may have drawn attention to the inadequacy and male fide intentions of the western powers occupying northern Syria – US, France and Germany, in particular. On the ground, this translates as the Astana partners – Russia, Turkey and Iran – taking in hand the task of coordinated efforts aimed at establishing another de-escalation zone in northern Syria following the US withdrawal. It appears Putin has made an offer Erdogan cannot easily refuse and which may even be the latter’s own preferred option. Significantly, Erdogan has hit out hard against the coup attempt by Washington to overthrow the Venezuelan government.